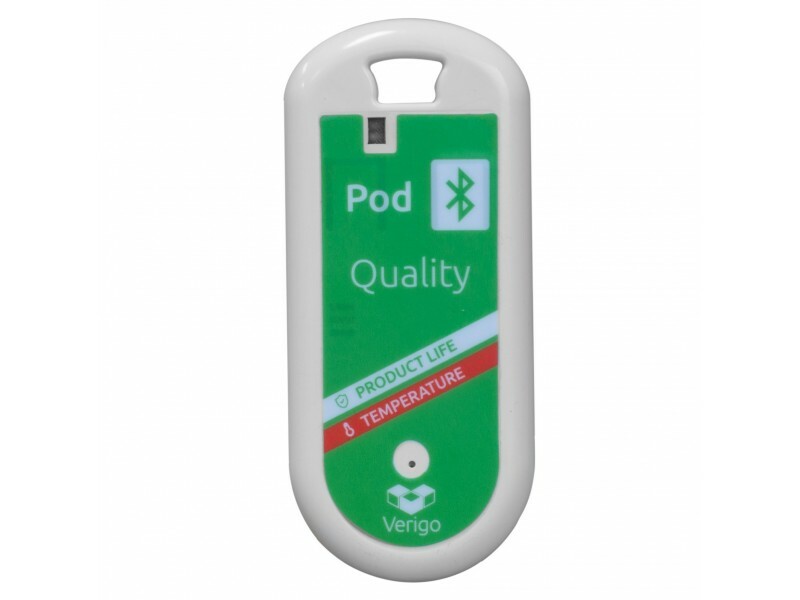 You care about the quality of your product. Maximum quality and shelf life is key to satisfying your customers and maintaining a competitive edge. In today’s competitive market, every rejection, claim, and dollar shrink/ customer credit matters. 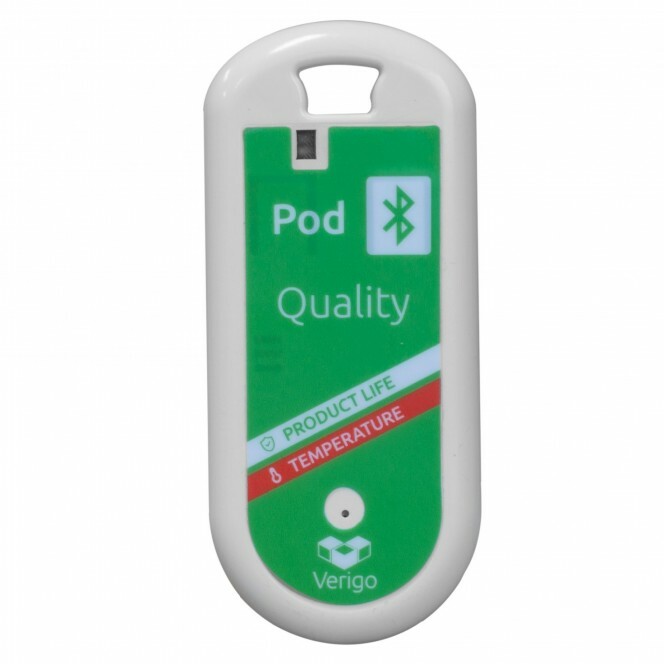 The Bluetooth Pod Quality provides you with actionable information that you need to minimise losses in the supply chain and maximise final quality of your product. Configure settings to meet the needs of your particular application, including custom names, logging settings, and alerts. 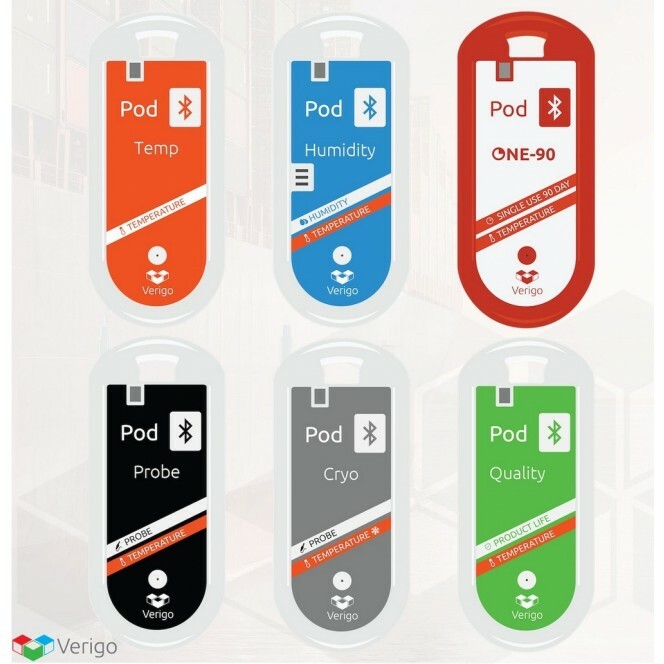 Gain groundbreaking insights from the first sensors smart enough to continually translate raw data into useful quality information: the actual remaining life of your product. Monitoring a wide range of commodities is made easy with access to over 20 predefined Product Life Profiles, from Asparagus to Strawberries. 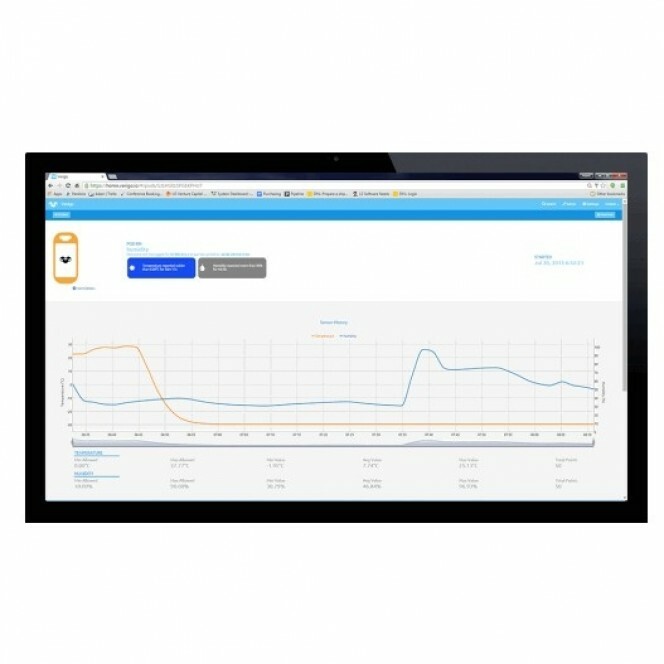 You can also create your own custom Product Life Profiles for your unique product varieties. View the information you need with no wires, no readers, and no hassles. Take proactive steps to prevent losses with “Low Product Life” and “low/high temperature” email and SMS alerts. 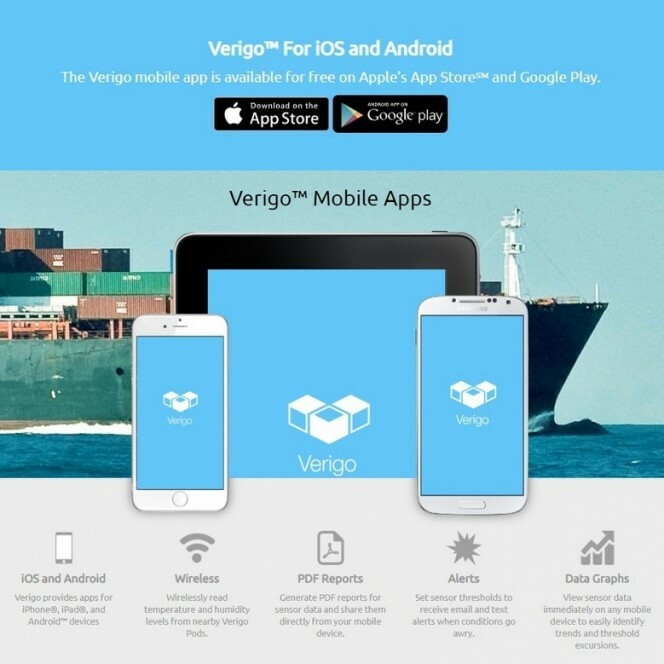 See the complete story of each pallet by accessing your records from anywhere in the world with the Verigo Cloud. Easily achieve continuous audits of every critical process to maximise final quality. General Description Up to 30 metre transmission range. Disposable version - 3 sessions.